Customs and Inland Revenue, namely CIR, is a large and diverse department with over 90 employees spread across Vanuatu. There are offices in both Port Vila and Luganville and also in all provincial centers in Lenakel, Lakatoro, Saratamata and Sola. The CIR structure comprises of the Director and the two Deputy Directors, one of which is the Deputy Director Revenue and the other the Deputy Director of Enforcement and Services. Customs & Inland Revenue is responsible for managing the security and integrity of Vanuatu’s borders, that is , detecting and deterring the unlawful movement of goods and people across the border. 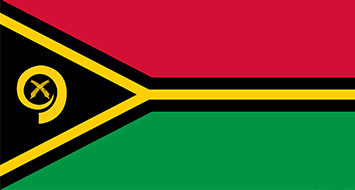 Customs works closely with other agencies, in particular the Vanuatu Quarantine and Inspection Service, the Department of immigration and the Vanuatu Police Service.